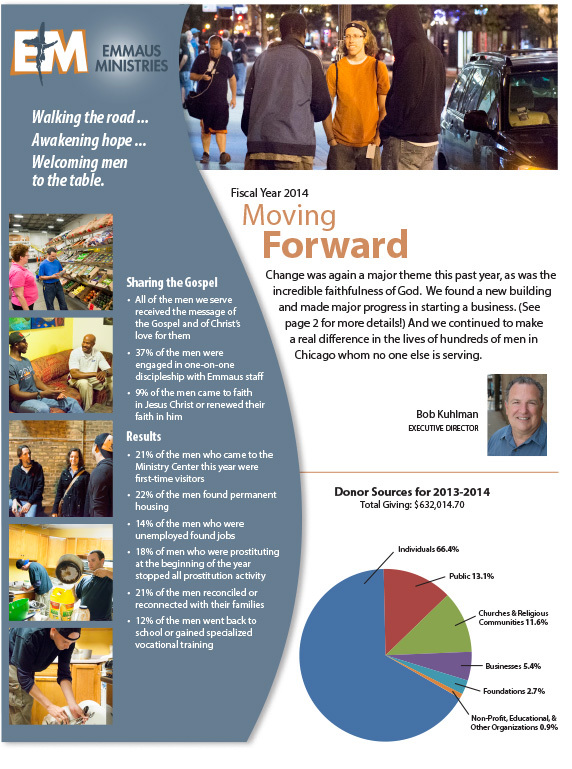 Emmaus Ministries annual report was completed. Telling the Story. 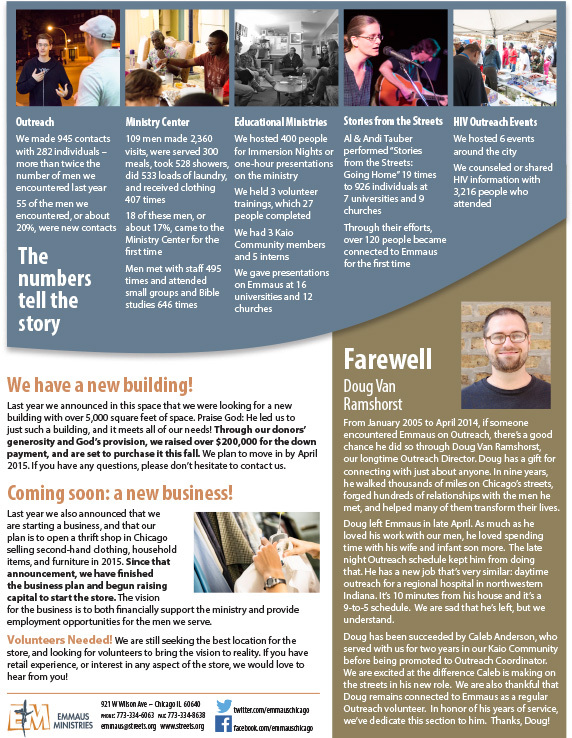 Emmaus Ministries Annual Report is a tool the helps tell the organization’s story. Theirs is a simple document, two pages, color with a focus on reporting results with numbers. Annual reports are great handouts for individual or small group meetings with donors. Graphic design and project management by Donna Berg. To contact her click here. Check back often for new ideas and tips here at Next Level Insights. For more information call us at 1-866-524-2654 or email info@nextlevelinsights.com.